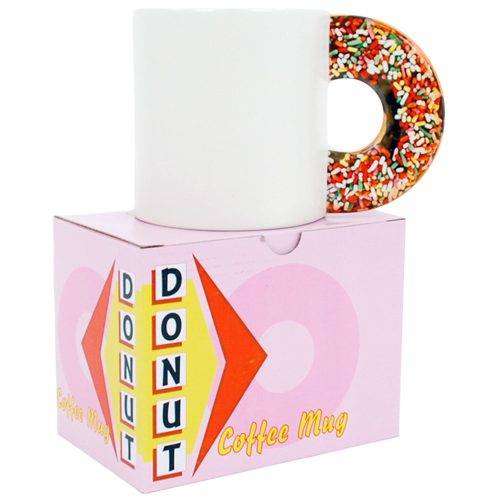 Donut Coffee Mug « Gluttoner: You gonna eat that? Have your coffee with a donut with a the Donut Coffee Mug, the least fattening way to grab a tasty breakfast dessert with your morning brew. No sticky fingers or messy sprinkles with this mug. Unfortunately no tasty cream filled goodness either- but at least you can still have your coffee.